With the influx of sweet cherry production over the last decade or so, Bio-Gro has made it a goal to develop products and programs to satisfy the needs of all phases in delivering the finest quality cherry the market can offer. These phases go from the farm, to the packing house/marketing, to the grocery store, and finally to the consumer. With all things to consider we have come up with a program to ensure our common goal. We have reached out to farmers, packing houses, and sales agencies to find out what their biggest challenges are in order to achieve those goals. With cherry returns, size matters. 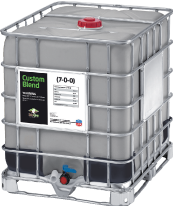 A complete foliar nutrition package is essential to achieving our financial goals. Early application timing of key elements is crucial to the final outcome of the crop. Out advanced formula of organic amino acids enhances nutrient efficiency and availability. Firmness and stem integrity play a tremendous role in sweet cherry shelf life. As mentioned before, the influx of production has forced the sales agencies to find and develop new market strategies. Many of these markets lead to long and less ideal shipping conditions. University studies show that applications of Cal 8 will increase fruit firmness, decrease pitting, reduce respiration, and decrease stem browning. Once again we look for whatever advantage we can take; we are already in the process of creating a firm and desirable cherry. Now we have the ability to manage our G.A. rates from none, to very low, to high. Is this a replacement for G.A.? No it is simply one more tool in our belt. The abundance of organic amino acids is also accompanied by color, creating an even pack. A lot of effort, time, and money has been put into this crop. As we have been working hard to accomplish our goal, we have also been conditioning this cherry to protect against a rain event. Studies show that calcium hydroxide, the basis of Cal 8, is the best calcium product to prevent rain cracking. *Increase NUE Cal-8 to one gallon/acre in lieu of rain events.